CMT network hired dramatic entertainment photographer Andy Batt to create portraits of this motley team of bounty hunters. 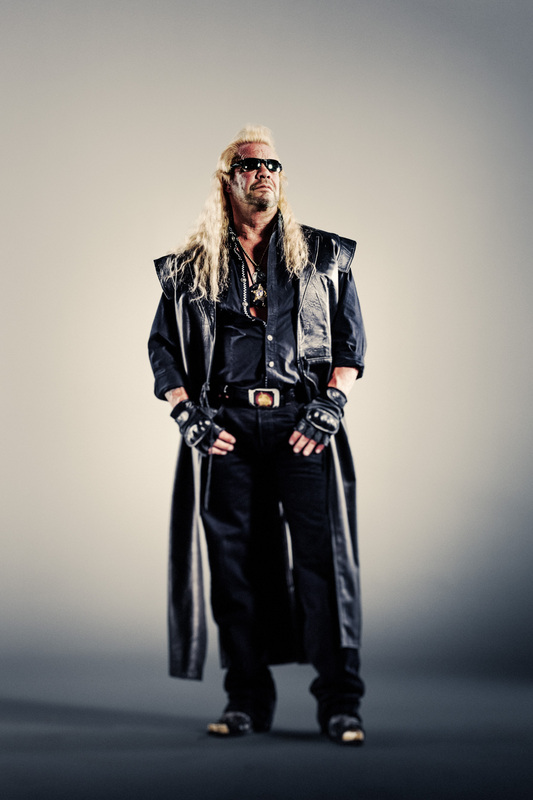 Dog and Beth: On the Hunt is a reality television series on CMT, Country Music Television. Pictured here are Leland Chapman, Duane "Dog" Chapman and Beth Chapman.